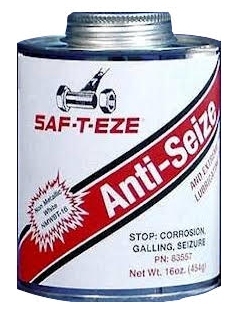 SAF-T-EZE® Non-Metallic White Anti-Seize is metal free and recommended where copper must be avoided. It is an excellent anti-seize for titanium, stainless steel and other alloy steels. 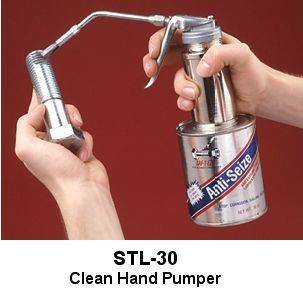 It prevents corrosion, galling, and seizure between metal parts, and is recommended for service up to 2000ºF (1093ºC). SAF-T-EZE® Non-Metallic White Anti-Seize has been specifically formulated to meet the requirements of extreme high temperature applications. Non-Metallic White Anti-Seize does not contain copper, nickel or any metallic ingredients. SAF-T-EZE® Non-Metallic White Anti-Seize is particularly recommended for applications where different metals are being used. Its non-metallic make up provides a lubricating barrier that prevents galvanic corrosion, even at extreme temperatures. It is an excellent choice to lubricate parts made of the various stainless steel grades. It is also a prime choice where nickel alloys, titanium, or other hard metals are in use. Use on threaded parts, bushings, gears, valve stems, chains, sprockets, levers, hinges, pivots, rollers, heat exchanger bolts, manifolds, or in any threaded joint where a high performance metal free anti-seize is required.